Ari Krigel is a Partner in the Real Estate Practice Group and a member of the Food Industry Team. Ari concentrates his practice in the area of commercial real estate, with an emphasis on acquisitions, dispositions, conventional and public financing, leasing, workouts and development. His experience includes drafting and negotiating purchase and sale agreements, loan agreements, mortgages, commercial leases, forbearance and deed-in-lieu of foreclosure agreements, easements and performing due diligence for real estate transactions. Ari has represented large institutional investors, national and regional lenders and mid-market real estate investment and development companies. 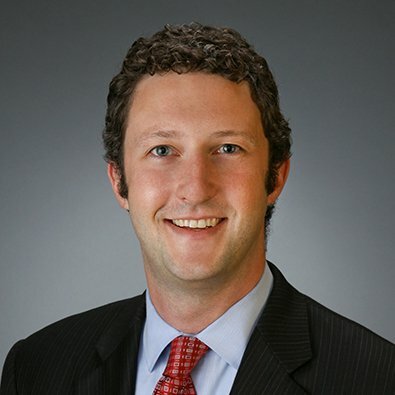 Prior to joining Freeborn, Ari was an Associate at Katten Muchin Rosenman LLP. Represented real estate fund in the acquisition of $65,270,000 commercial office building in Bannockburn, Illinois. Represented industrial developer in ground-up development of large mixed use project including industrial, retail, and medical office. Negotiated multiple outlot sales. Negotiated construction loans and refinancing, including recent mortgage and mezzanine loans totaling $55,750,000. Represented owner of hotel portfolio in connection with the sale of 15 hotels, including 10 fee properties and the assignment of 5 groundleases. Represented developer in note purchase, deed-in-lieu of foreclosure, and the subsequent financing, including construction and mezzanine loans, and multifamily development. Represented a number of retail and commercial office landlords in the City of Chicago and locations throughout the county, and negotiated leases for retail stores, parking lots, and restaurants, and also commercial office leases for large downtown office towers and smaller regional properties. Moderator, Chicago Retail Forum, Bisnow (March 21, 2019). Freeborn & Peters LLP is pleased to announce the elevation of four of its attorneys.